Explore the Sinai desert with experienced Bedouin guides! This book is not meant to provide a complete or comprehensive guide to the flora and fauna of South Sinai but rather to show some characteristic species, with a special emphasis on their behavioural patterns. It is through understanding the complicated life patterns of the desert creatures, while revealing their beauty and vulnerability, that we hope expanded awareness and deeper appreciation are achieved amongst readers. Understanding and appreciation are the solid ground upon which conservation efforts will build. The book is divided into seven chapters: Water, Mammals, Birds, Reptiles, Insects, Arachnids and Flora. Local names are provided whenever Bedouins have verified them, taking into account that some names were sadly lost for many reasons. An absolute must-have for Sinai nature lovers! This book is full of the most stunning images of the plants and animals of South Sinai, not to mention all the interesting facts about the critters’ behaviors. I’ve read a lot about the wildlife of our desert over the past several years, but the text in this book left me fascinated! Did you know, for example, that the female Velvet Spider ends her life to become food for her young? Or that the nest of White-crowned Black Wheatear is built of small rocks in crevices – and the Bedouin call these little rocks “darahem Om Ghrair” (the money of the Black Wheatear)? That the Bedouin have a vaccine against the venomous scorpion and wasp bites that is given to infants before they eat their first solid food? 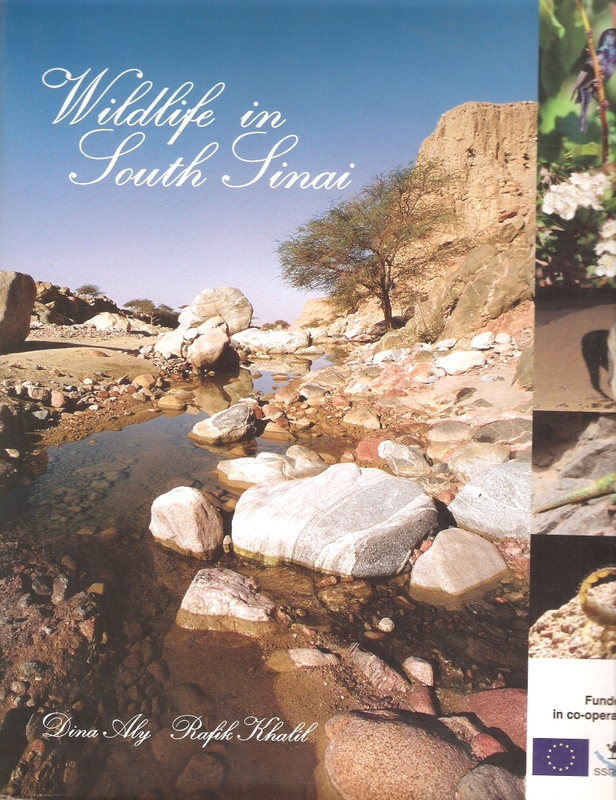 Besides the amazing photos and facts, the authors provide an excellent brief overview of the flora and fauna of South Sinai. Their admiration and devotion to the natural world is obvious throughout the book, and they discuss sensible and attainable suggestions for protecting the remaining wildlife in the region.